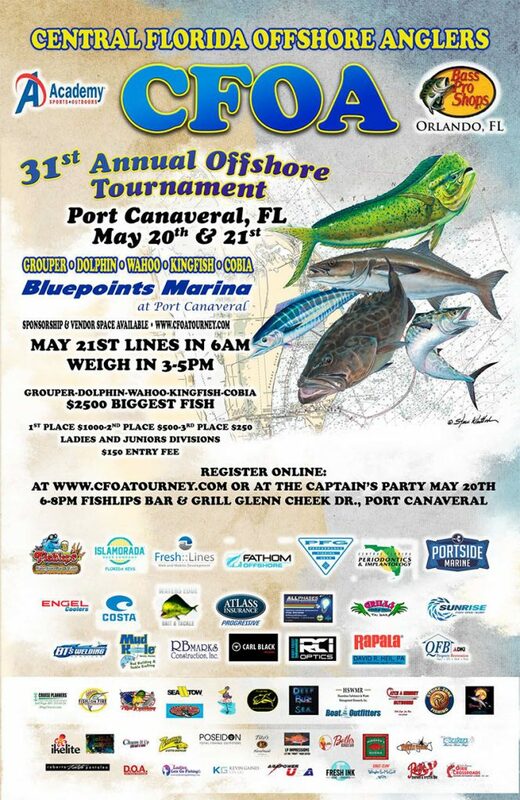 Bluepoints Marina proudly announces that it will serve as Primary Sponsor and Host of the 31st Annual Central Florida Offshore Anglers Offshore Tournament to be held Saturday, May 21, 2016. Weigh in is 3:00pm – 5:00pm. Captains Party will be held Friday, May 20th at Fishlips Waterfront Bar & Grill (in Port Canaveral) starting at 6:00pm. Online registration is available at: www.mycfoa.com . Please Note: Entrants must attend the Captains Party in order to receive your registration number.